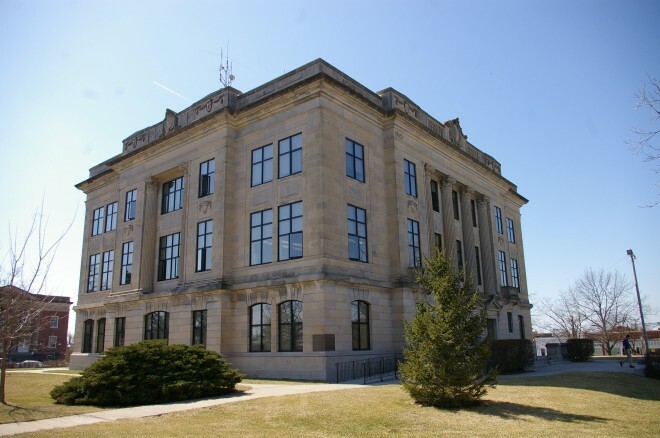 Brown County is named for Albert Gallatin Brown, who was a United States Senator from Mississippi at the time of the Kansas-Nebraska Act, or for O H Browne, who was a member of the legislature. 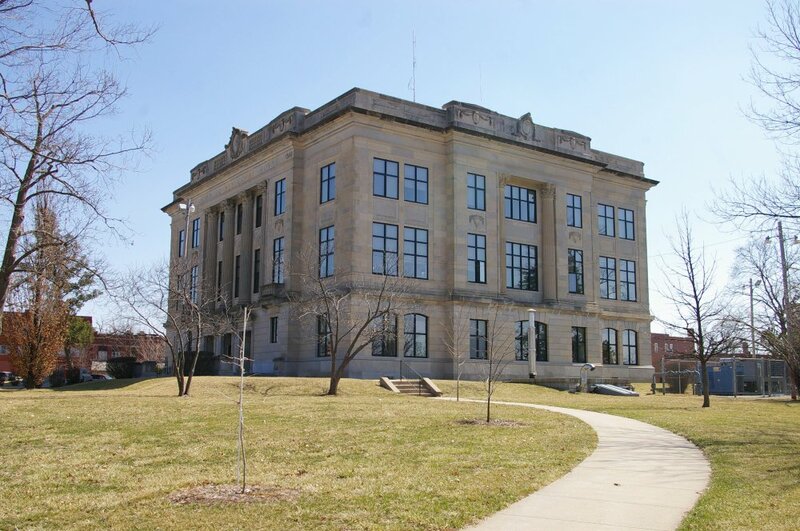 Description: The building faces north and is a three story limestone structure. The symmetrical north and south sides are nearly identical, fronted by central blocks pilled slightly forward of the main wall. There are entrances on the north and south sides. The north front has three entrances with pediments above. 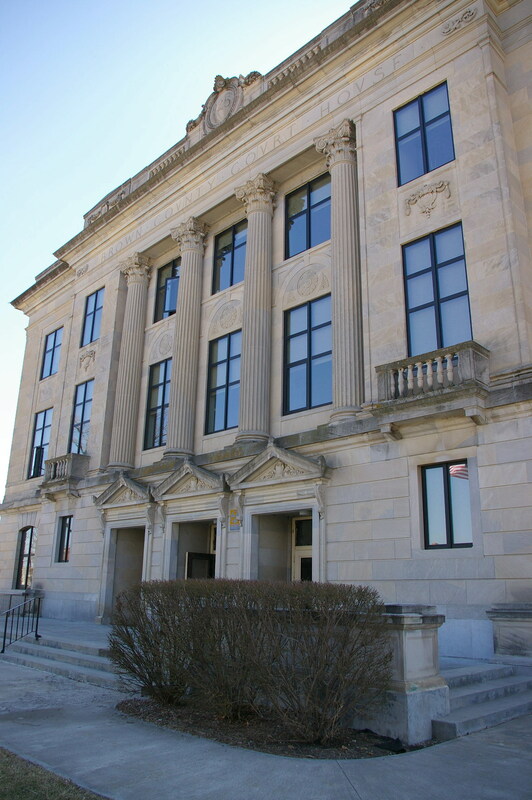 Four high Corinthian columns rise from the second story to the top of the third story and above is a wide header with further header above containing a large crest. 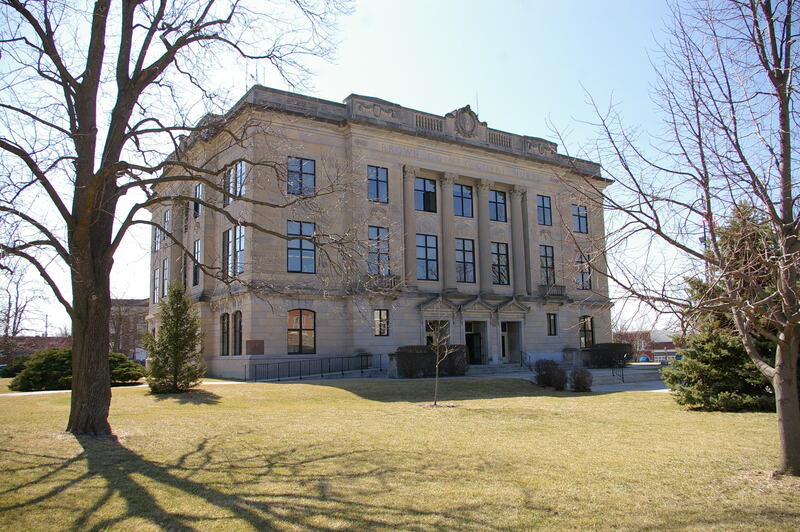 The center section has windows divided by the columns and are recessed. The sides also have a projecting center section with recessed windows. 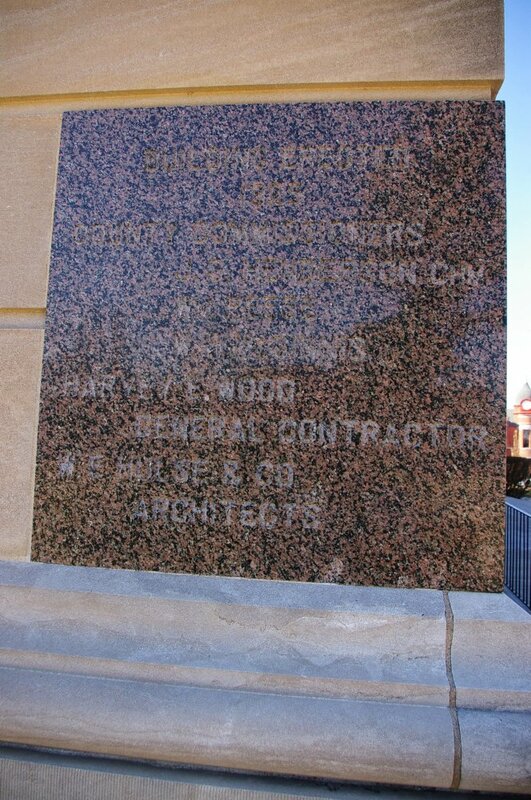 Note: The architect, William Earl Hulse & Company of Hutchison, designed courthouses in Barton County, Kiowa County, Osage County, Pawnee County, Reno County, Wallace County and Wichita County. Note: The previous courthouse was designed by E P Carr and constructed by James McGonigle in 1879.